We all have our list of go-to places where we take visitors from out of town. Whether it&apos;s taking our guests to the Nature Research Center at the North Carolina Museum of Natural Sciences, showing off the latest restaurants and things to do in downtown Raleigh, spending an afternoon scaling indoor rock walls or touting the area as home to the world&apos;s largest collection of Rodin sculptures, I have a plan for each of my visitors. But, I&apos;ve often wondered what&apos;s on everyone else&apos;s go-to list? What are our more than 15.6 million annual visitors doing when they come to Wake County? After a quick glance at the listings on visitRaleigh.com, I knew the answer is that there&apos;s so much to see (to borrow a phrase from a past visitRaleigh.com campaign). And, after having the opportunity to shadow Jones Lang LaSalle (JLL, the consulting team building our county&apos;s Destination Strategic Plan), I was struck by the notion that there is even more. A critical component of JLL&apos;s work to help us build a Destination Strategic Plan is a rigorous (and ongoing) discovery phase, during which they have visited all of the municipalities in the county and are meeting with numerous stakeholders to understand the totality of what the county has to offer. It has been interesting to see the process from an external lens—seeing what the consulting team gravitates toward and how we compare to other destinations. It has also been a way to envision and appreciate how smaller or lesser-known venues and attractions can be linked or related to other, like venues and attractions to create a total visitor experience. It has also been interesting to uncover gems and hear of community plans going forward. Many have said that Wake County has something for everyone—from outdoor adventurers to craft beer trail followers or live music enthusiasts, to youth and amateur sports spectators. 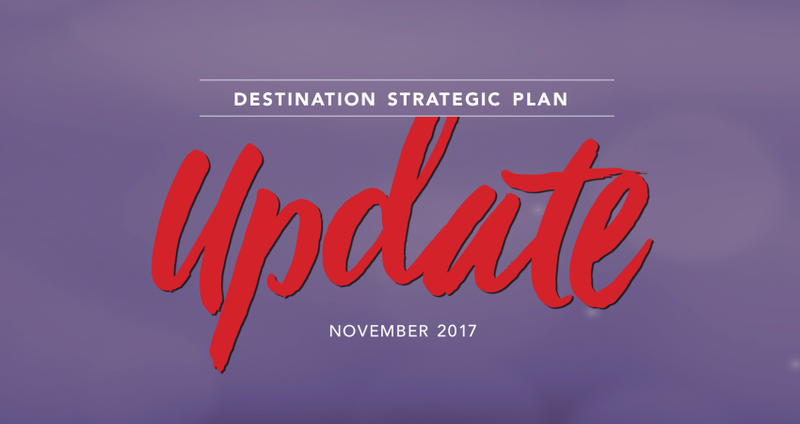 Thanks to work to build the new Destination Strategic Plan, we no longer have to depend solely on our individual go-to lists or our memories of anecdotal suggestions over time. Instead, through the project, we&apos;re building a more comprehensive list of what the county has to offer and a better-researched understanding of how those destination assets can be supported and leveraged over time. JLL has a done a great job of documenting their findings. Check out the project website for updates and assessments so far to add more ideas to your go-to list.